'There are no words to describe the happiness that I'm feeling now,' said Tareq Hadhad. 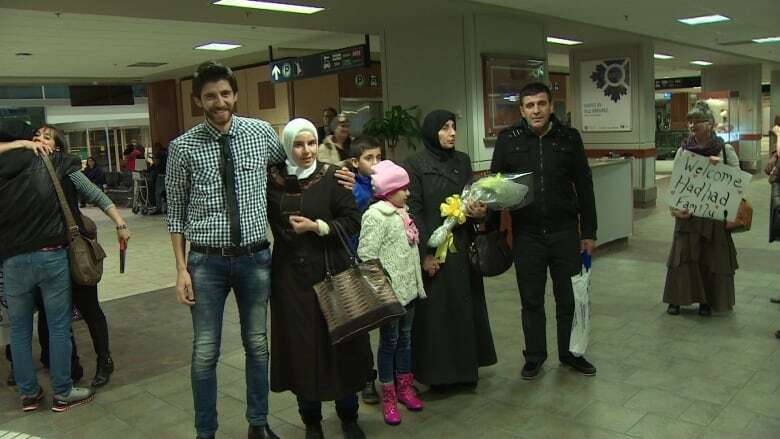 The story of the Hadhad family of Antigonish, N.S., began in Syria and has made its way to the United Nations, thanks to a speech by Prime Minister Justin Trudeau. Trudeau spoke to the Leaders Summit on Refugees at the UN in New York Tuesday. He opened his address by sharing the story of the Hadhads, who came to Nova Scotia as refugees less than one year ago. Trudeau described Antigonish as home to a group of "big-hearted Canadians" who like others across the country came together to help sponsor a Syrian refugee family. "Back home in Damascus, the Hadhads had owned a successful business, a chocolate factory that employed 30 people," Trudeau said. "After getting acclimatized—because Canadian winters are pretty much what you'd expect—they started to look for opportunities to rebuild their business and to rebuild their lives." He went on to describe how the Hadhads started their own chocolate business with the support of the community, and donated some of their profits to the Fort McMurray fire relief efforts. "The Hadhads said that they knew what it felt like to flee their country, to flee their homes and lose everything and they wanted to help by giving back what they could," Trudeau said. "Last month, just eight months after arriving in Canada, the family realized their dream and opened a small chocolate factory in their new hometown. It's called Peace by Chocolate, and you can follow them on Facebook." Tareq Hadhad, 23, was shocked to hear his family's story was part of Trudeau's speech. "There are no words to describe the happiness that I'm feeling now that Prime Minister Justin Trudeau mentioned my family and Peace By Chocolate and the achievement we've done since we arrived here," he told CBC News. "If that means anything, it means that this country has a lot of opportunities to give to newcomers and we can't be more proud." The Hadhads met Trudeau briefly when he visited New Glasgow, N.S., last month. "I've received so many messages on our Facebook page and on Twitter right now, telling me that Trudeau mentioned us," he said shortly after the speech. "It's an absolutely great thing." Hadhad said he is pleased that the Syrian refugee crisis is being discussed among global leaders. "I hope this summit can come out with actual decisions to stop the fighting and help 11 million Syrian refugees," he said. "Hopefully our story will inspire other countries to say that refugees can rebuild their lives and contribute to their new homes and communities."